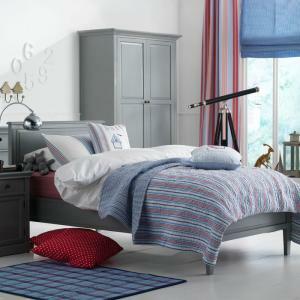 Lucy Willow says - "Here you will find a charming collection of boys beds, available in a choice of colours and styles. For the younger ones you can even choose to have their bed personalised with their name. If you are looking for good quality furniture for your child's bedroom, you have come to the right place, these luxury boys beds are unique designs, exclusive to Little Lucy Willow and are handmade here in the UK." A cool bed for a boy or a less girly girl whose tired of pink although she can have that colour if she wants! Handmade to order in our own factory her..
An additional style option to our Archie range. 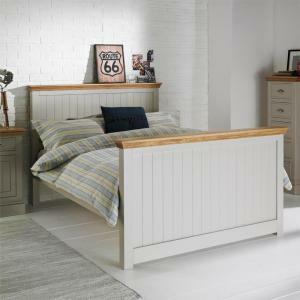 This children's bed is the perfect option if you require a Truckle or any of our under bed storage opt..
Our fabulous Archie bed now available in a double (4ft 6') size as well as any other size you might want for that matter. Hand made to order and avail.. This beautiful bed is hand made by master craftsmen in our own factory here in England. Quality in both construction and finish will ensure this bed s..
A beautiful bunk bed to match our Archie collection of furniture. 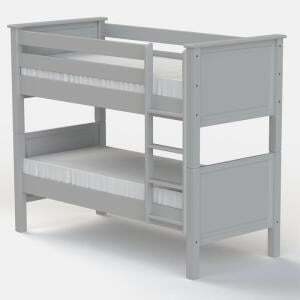 Hand made by master craftsmen here in England this is a quality childrens bunk bed. ..
An extremely practical kids cabin bed for when space is a premium in your childs bedroom. Made by our factory here in England we have focused on produ.. This Barney and Boo childrens bed has been designed with an understated yet stylish simplicity. Perfect for boys or girls simply choose from the colou.. This high foot end version of our Barney and Boo childrens bed has been designed with an understated yet stylish simplicity. Perfect for boys or girls..
A bed that has been designed with an understated yet stylish simplicity. The low foot end style works well for bedrooms where space is limited. Perfec..
Our new Barney Boo High Sleeper bed is made to order by us in our own factory here in the UK. Extremely solid and finished in our trademark durable pa..
A magnificent bed fit for a boy or girl. Handmade to order by our own factory here in the UK this is a high quality bed featuring a solid oak top. Ava..
A low end version of our Charlie Oakley Bed. It is a magnificent bed fit for a boy or girl. Handmade to order here in the UK this is a high quality be..
Each boy is different from the next, when it comes to what they like, how they play and what they want from a bedroom. You may have a child who wants a quiet space to study, or you may have a budding music star on your hands who uses his bed as an impromptu stage. Little Lucy Willow has a series of collections available, with beds to suit the different personalities of your boys. Archie beds are all about being cool and modern, whereas Charlie Oakley beds have a feel of traditional sophistication. You can make your child’s bed extra special by having it personalised with his name or talk to us about any bespoke design ideas you may have. Every bed that is created by Little Lucy Willow is hand crafted in the UK and built to ensure that your child has somewhere comfortable and stylish to sleep. Our designers also realise that every home is different and has different space availability. 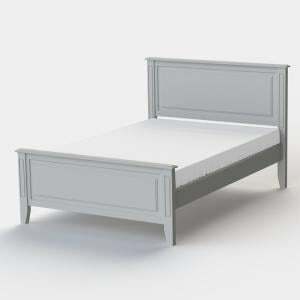 This is why we provide double and single boys’ beds, divan beds for boys, bunk beds, truckle beds and high sleeper beds. You can choose the type of bed that best fits in your home as well as giving your little man the sleeping place that he really wants. 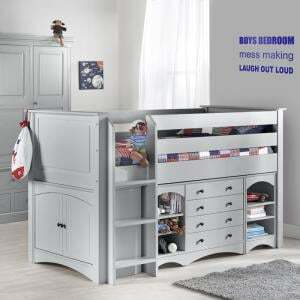 As well as getting the luxury boys’ bed that you want from us, you can also get all of the other furniture and décor items that you need, to turn your child’s bedroom into a special place for them to spend time. We create a wide range of high quality children’s bedroom furniture including wardrobes, chests of drawers, wall shelving and bedding boxes. Our furniture is hand crafted in the UK so, just like our beds, it’s built to last through rough and tumble play adventures. Speak to us about our luxury boys’ beds and range of furniture items.